You better set an alarm really early tomorrow morning if you want to buy tickets for the Eagles-Jaguars game in London. 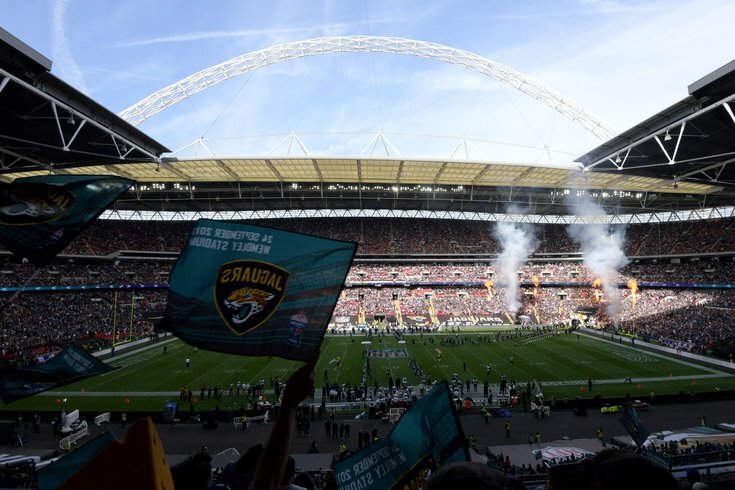 Tickets for the Philadelphia Eagles' matchup against the Jacksonville Jaguars in London go on sale tomorrow at 10:00 a.m. local time tomorrow, May 1. If you're a resident of the Philadelphia area (or anywhere on the east coast) and have aspirations to attend that game, you better get your plans in order quickly, and set an alarm to be ready to buy before 5:00 a.m. EST. Tickets can be purchased on Ticketmaster.com. The game is going to be played on October 28, 2018, at 1:30 p.m. local time, or 9:30 a.m. EST (they change their clocks on a different date), at Wembley Stadium in London. A season ago, Eagles fans flooded both Los Angeles stadiums, as well as the Week 15 game in New Jersey against the Giants. All three games had a "home game on the road" type of feel, and the London game this season could have a similar vibe. On the other hand, the Jaguars play in London every year, and know how to prepare for that trip. In fact, they have won three games in a row in London, and put up 30-plus points in each of those games.